Gold: A Thousand Dollar Rally? Sales and profits growth for key Asian gold jewelers continues to set the stage for an imminent and massive mining stocks rally. Double-click to enlarge this fabulous Chow Tai Fook chart. A major breakout to the upside is in play, and where Chinese jewelers go on the price grid, Western miners are likely to follow. Some of the GDX component stocks are beginning to join what I term the “bull era upside fun” even though bullion has yet to prove itself with a three-day close over $1370. 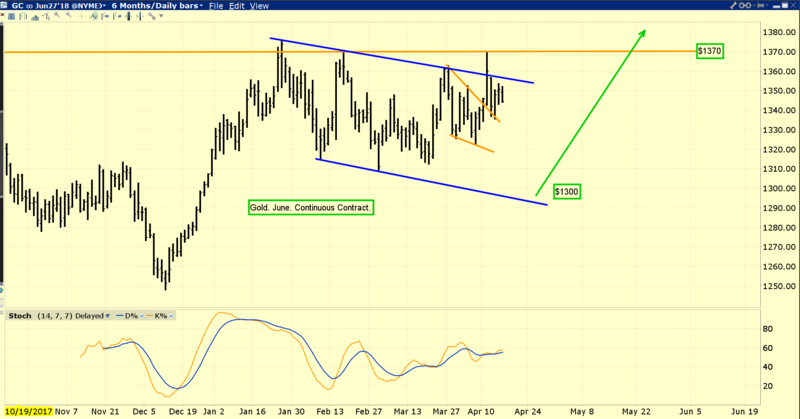 Double-click to enlarge this daily gold chart. Gold is coiled beautifully inside a drifting rectangle formation, and there’s already been one attempt to break out to the upside. Most component stocks of the US stock market indexes look technically horrific. 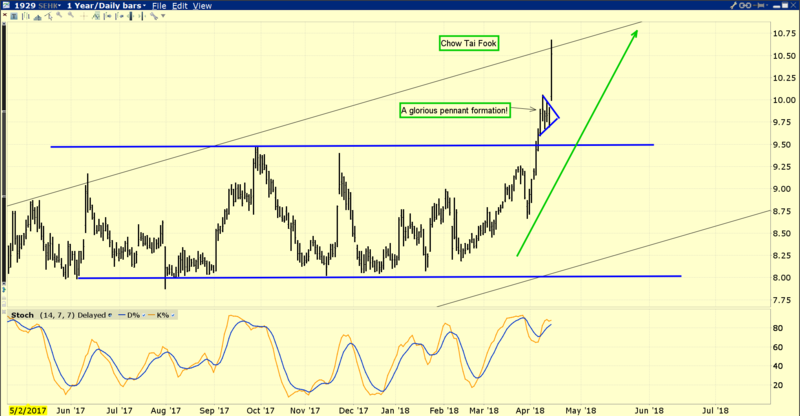 A move for gold up to the “promised land” of $1450+ is likely to be fuelled by both love and fear trade factors. 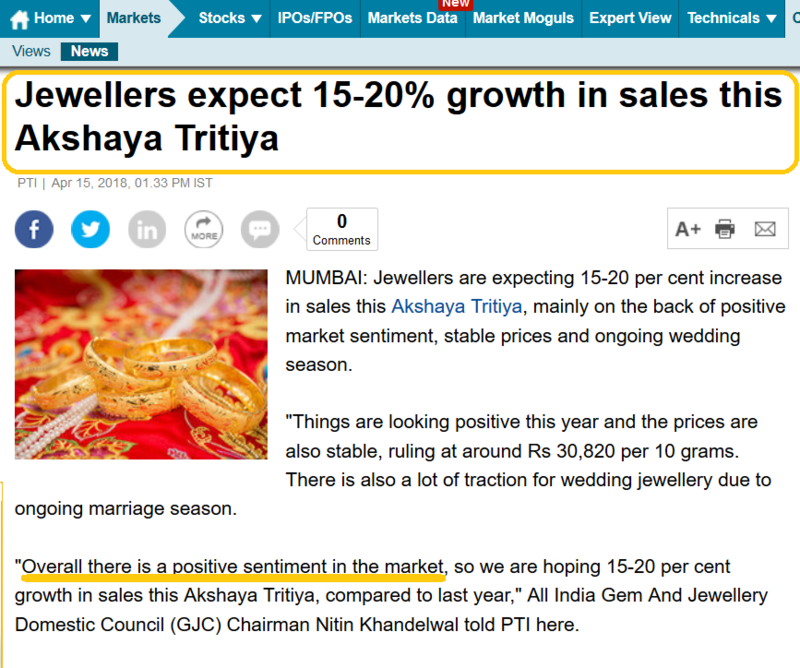 That’s because the next rate hike and quantitative tightening ramp-up is likely to occur against a background of ever-stronger jewelry demand coming from both China and India. Gold cycle expert Erik Hadik notes that many American wars and disasters have occurred around the date of April 19. It’s unknown if there will be any “blowback” from the latest US military adventurism in Syria, but from a cyclical perspective, it could happen. The Indian gold market has largely recovered from the ludicrous government policy attacks, and demand is strengthening in what appears to be a permanent trend. With both Chinese and Indian demand looking very solid, all gold needs now to move it towards $1450 is a tiny boost of investment demand from Western fear traders. 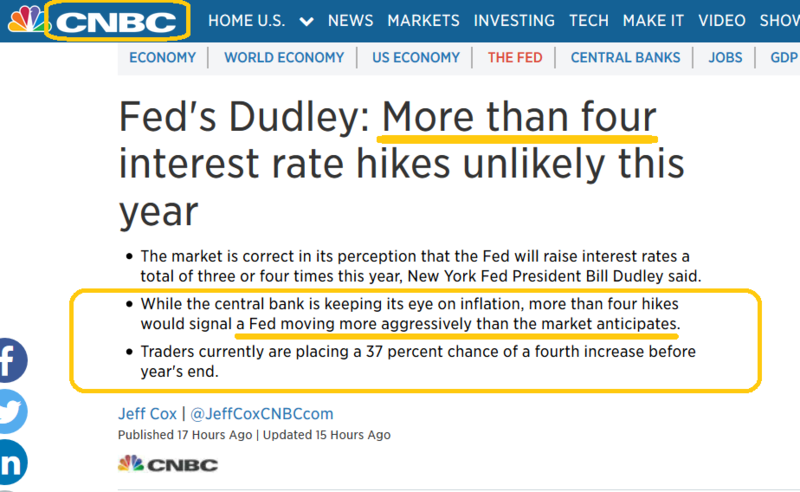 I don’t think most analysts and media people are listening carefully enough to Bill Dudley and other key players at the Fed. They are starting to talk about what could make the Fed go from quarterly to monthly decision making for rate hikes. Bill casually mentions that stronger than expected inflation could push the Fed to do five or six rates hikes this year. That inflation hasn’t happened yet, but the labor market is still tightening and inflationary tariffs from Trump are likely on the horizon.